Machine key is different between application creating the authentication cookie and the application(s) using it. Keys must match. 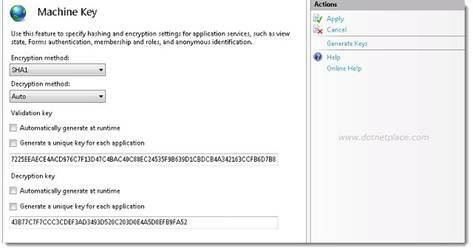 You can edit machine keys through IIS (as in below image) or directly through the web.config. Restart IIS/App pool shouldn’t be required. so if you having problems decrypting make sure your apps have compatible runtimes set. Cryptographic Improvements in ASP.NET 4.5, pt. 2 – Great blog post detailing the cryptographic core changes in 4.5 and how to preserve compatibility with older versions of the framework.